It’s almost here! Can you feel it??? There is a chill in the air. Winter is just around the corner. 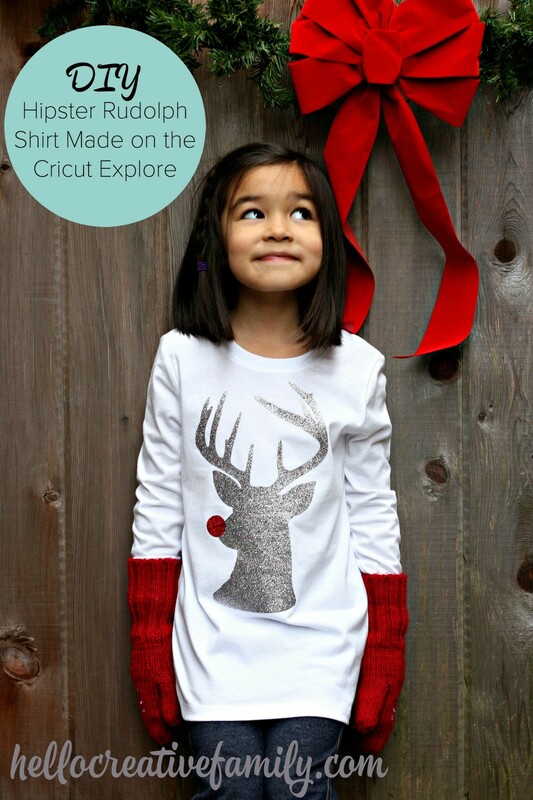 I’m super excited about today’s post because it features something that would make a super awesome Christmas gift for YOU (the new Cricut Explore Air 2) and something that would make a fabulous gift for the kiddos in your life (an adorable holiday shirt). Let’s start with the Cricut Explore Air 2. Friends, this thing is AMAZING. You all know that I love Cricut. Whenever I start talking about crafting with friends, I always recommend that they get their hands on one. Cricuts are a crafters dream come true. The best thing is that they can be used for so many different things. The Cricut can cut over 100 different materials! I’ve barely scratched the surface with what you can do with the Cricut. I’ve done a ton of crafting with my Cricut and whenever anyone asks me what my favorite craft tool or supply is I always say my Cricut. I’m a very lucky girl and own three of them (the original Cricut Explore, a Cricut Explore Air Gold and now the Cricut Explore Air 2). Through using the machines for the past few years I can tell you this. You will never regret having a Cricut. Any of their machines are amazing and will get the job done. The thing that I love about the new machine is that it cuts 2x faster, which is amazing when you need to get a gift made quickly or are cutting a lot of something. I also love the wireless capability and that you can design anywhere on your ipad, iphone or computer and then send it to your Cricut to cut without having to plug into the machine. I highly suggest that you put the Cricut Explore Air 2 on your Christmas list this year. 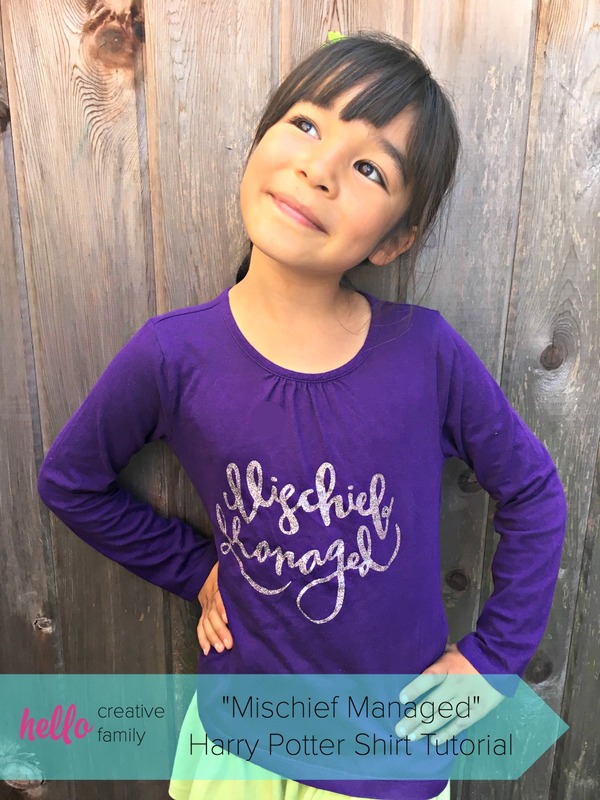 Even if you feel intimidated by the machine, and wonder if you will know how to make different projects on the machine, Cricut has over 3000 projects that they walk you through, step by step how to make. Seriously friends. You want one! Now that we have the “gift for you” covered, let’s move onto the “gift for the kids”! Every year I design a Christmas shirt for my kids. You may remember my Hipster Rudolph shirt that I made 2 years ago. This year I went back and forth with what I wanted our Christmas shirt to be. Bean is obsessed with foxes right now, and when I searched Cricut Access I found the cutest fox design. I decided to make a winter shirt this year, instead of being specifically Christmas themed, and use the holiday classic “Baby It’s Cold Outside” quote in the design. 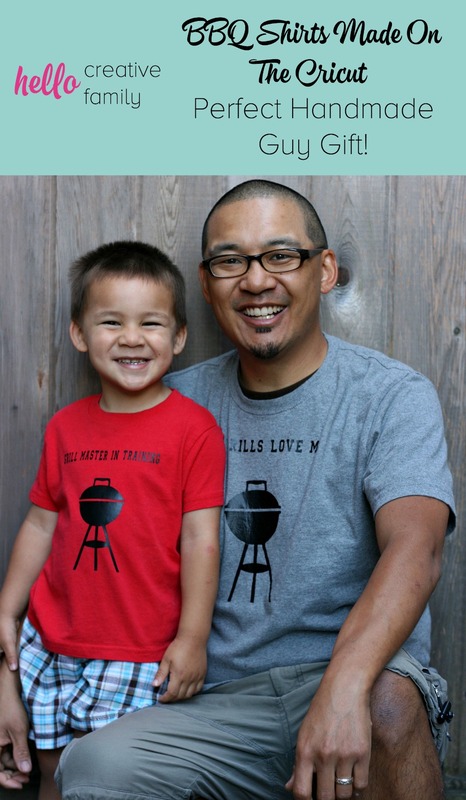 I hope you and your kiddos love this year’s shirt as much as I do! 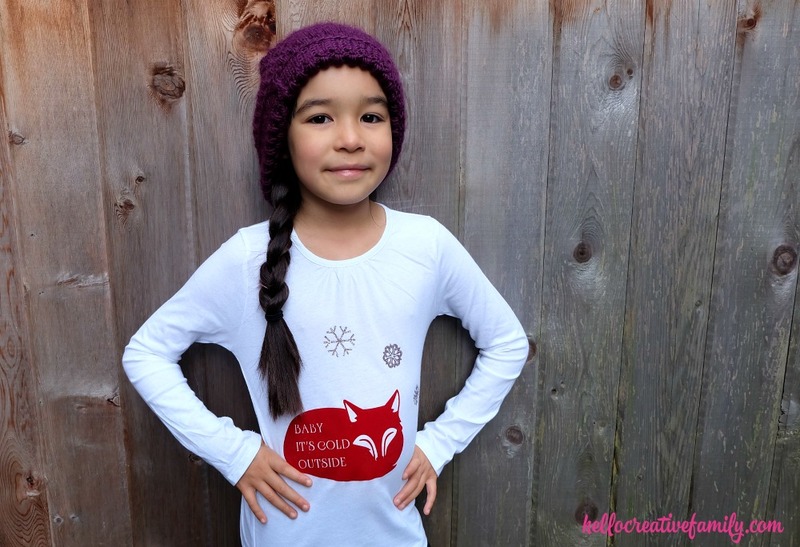 Read on for full instructions and the free DIY Baby It’s Cold Outside Shirt With Fox design file. 2. 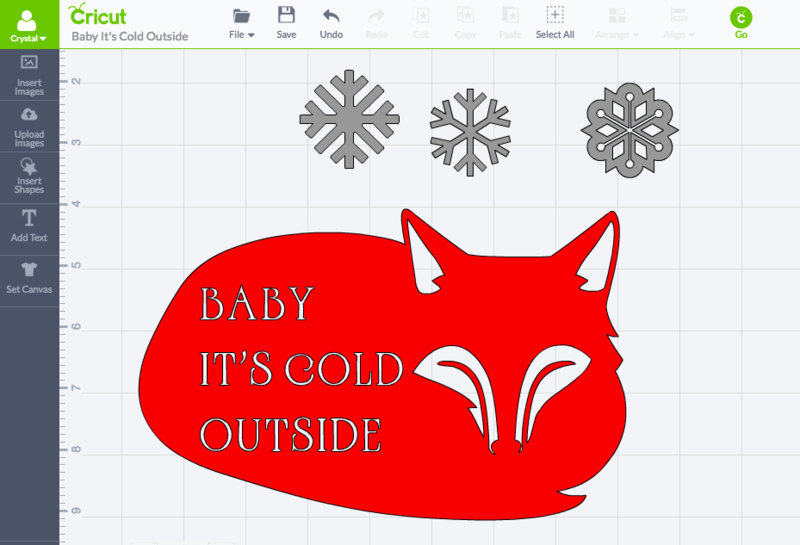 Size the snowflakes and fox so they are the right size for the shirt you will be placing them on. 4. 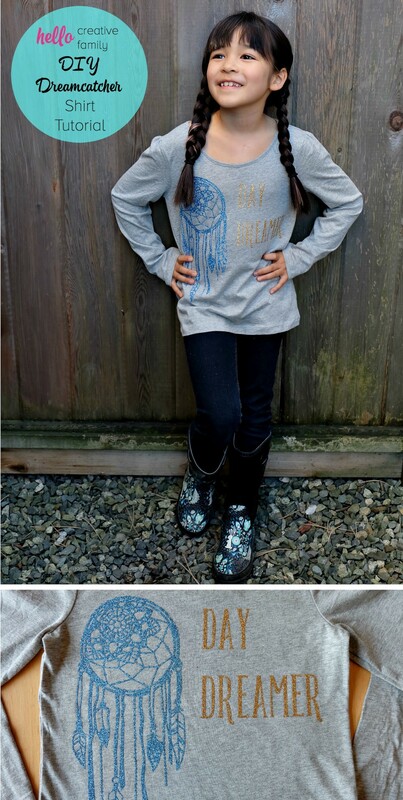 Click Go, click the Mirror Image Box, and then cut using your favorite iron on vinyl. Make sure the dial of your Cricut is set to Iron On. 5. 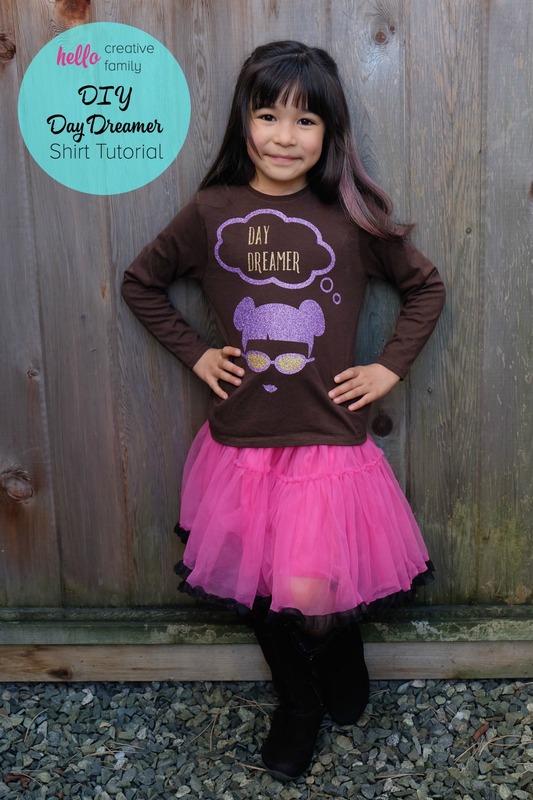 Iron on shirt following the instructions for the heat transfer vinyl you are using. I hope that you like this project as much as I enjoyed making it! If you give a shirt made with this design as a holiday gift, I’d love for you to let me know! Like this shirt? 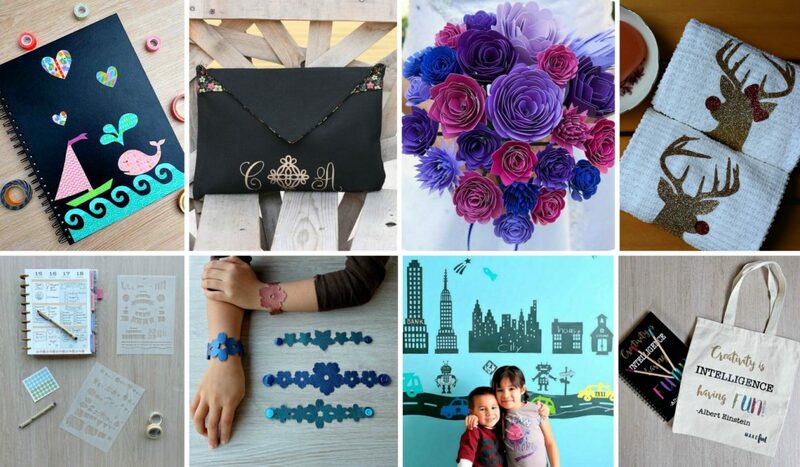 Make sure to check out our Cricut Category for all of our Cricut projects! Tell me… What would you make on a Cricut Explore Air 3? What would you like to see us put on a shirt next? 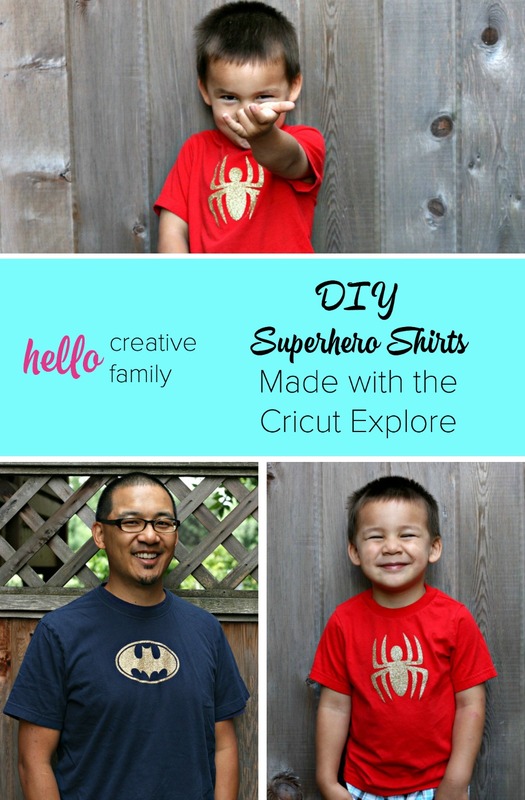 Disclosure: Cricut sent me the Cricut Explore Air 2 and craft supplies to use for this post. This post also contains affiliate links. As with every article on Hello Creative Family, all thoughts and opinions are 100% our own. We only share stuff we love.